Renovating your bathroom can often open up a whole new world of confusing bathroom terminology. One term you might have heard of is "bathroom fittings", but what exactly does this mean? 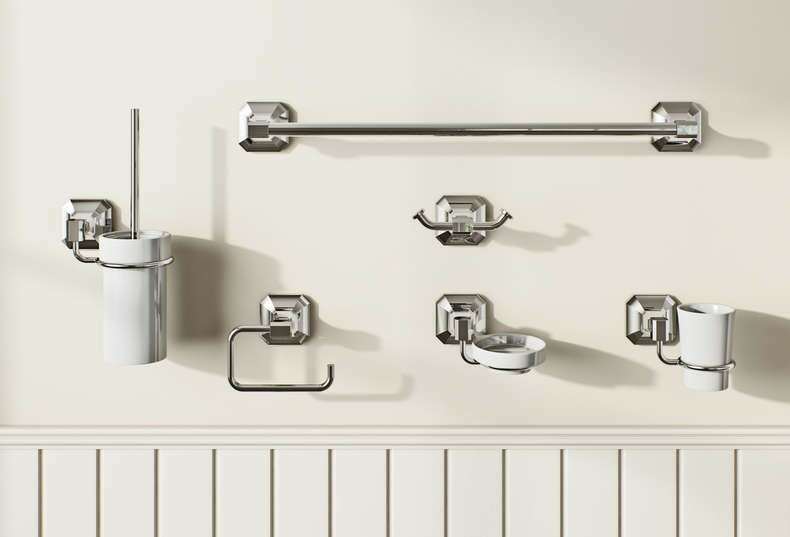 With this buying guide, we'll explain what bathroom fittings are, take you through your options, and give you some handy advice to get you started. Bathroom fittings are, by their very definition, the things that are fitted in addition to the main parts of your room (known as the fixtures). Bathroom fixtures are recognised as permanent elements which are either plumbed or wired in, and only really movable or detachable when you look to renovate again in the future. As such, most fixtures have an expected "lifetime" of up to 25 years in some cases. The distinction is more of a legal one, when buying a property, with fixtures being left by the outgoing occupants, whilst the fittings are normally taken. Although, the lines are often very blurred when it comes to this type of definition, outgoing homeowners may very well leave all sorts of fittings, but actually remove some of the fixtures! If you are renting a home, normally all of the items in the bathroom will be classified as fixtures, which belong to the landlord. On the continent, in countries like Germany where the rate of home ownership is much lower, it is often expected that a new tenant actually supplies elements such as toilets and basins. 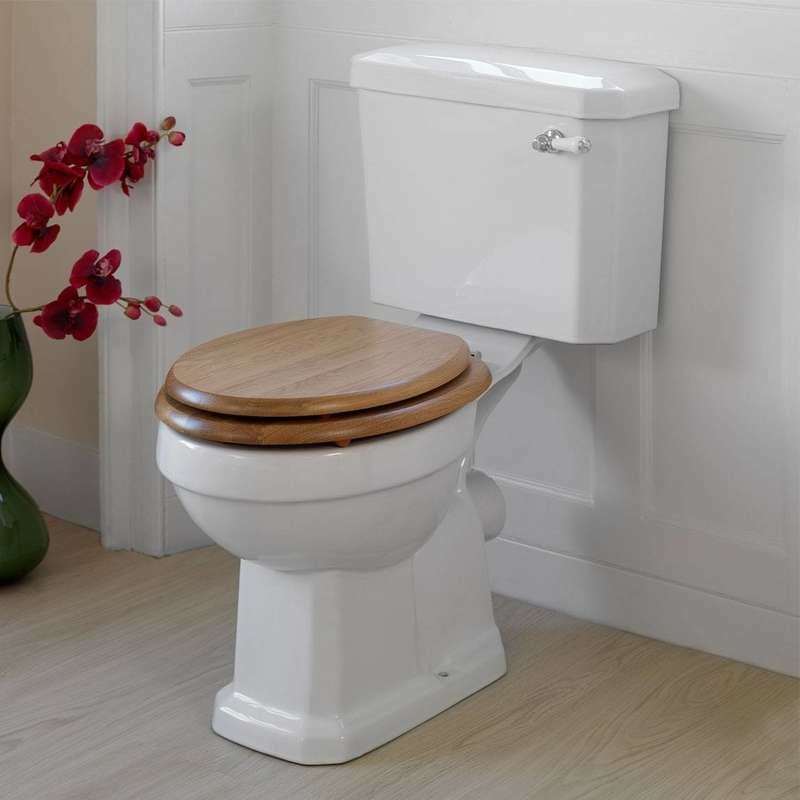 One of the most common replacements in a bathroom, the toilet seat undergoes a fair bit of wear and tear in its time, so it's hardly surprising it is one of the most popular bathroom fittings. Handy hint: A common question, we get asked is "Are toilet seats a standard size? ", which you can find out by reading our blog post. Toilet seats are mainly made using thermoplastic or thermoset, both hardwearing, durable materials that are resistant to stains and scratches. Although, if you prefer that more authentic look, you can still get solid wood or wood effect seats in a whole range of colours. Most toilet seats come with soft close hinges which help prevent wear and tear and keep little fingers from getting trapped. Plus, you can also buy seats which detach easily, for simple cleaning (and, as we all know, toilet seats need plenty of cleaning!). Make sure you check your toilet seat has these features before buying. For the lowdown on these bathroom fittings, check out our toilet seats buying guide. 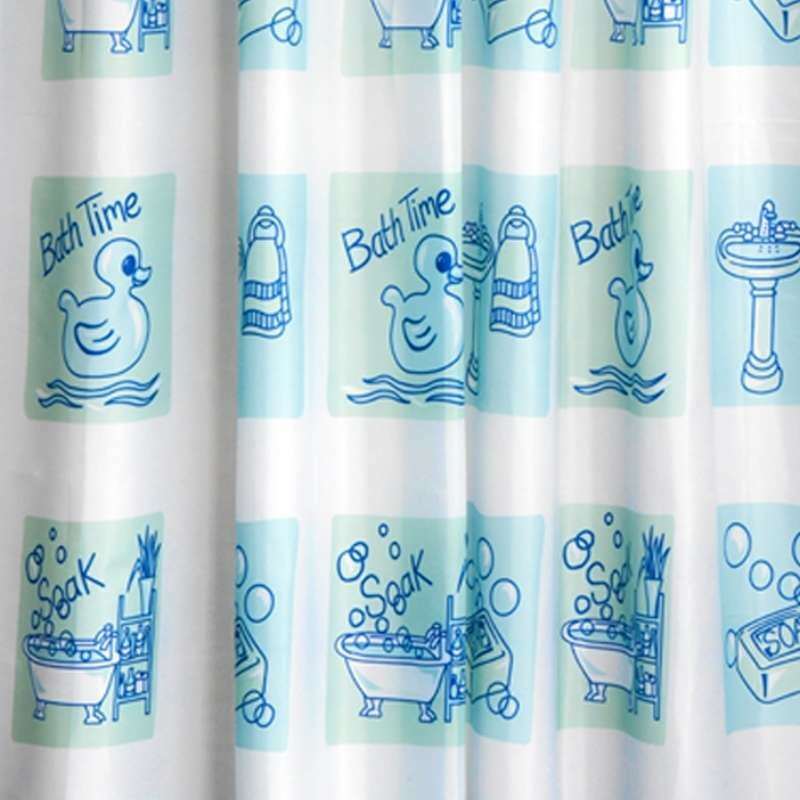 Whilst shower screens are fast becoming the contemporary way to keep water firmly in its place, many people still prefer shower curtains or simply require them as a like for like replacement. Ensure the design matches with the rest of your decor, and also wash frequently to ensure mould doesn't grow (it helps to have at least 2 different sets). When choosing your bathroom accessories, it pays to have a firm idea on the kind of elements you require. A toilet roll holder and towel rail are pretty much a given, but will you need additional shelving space? 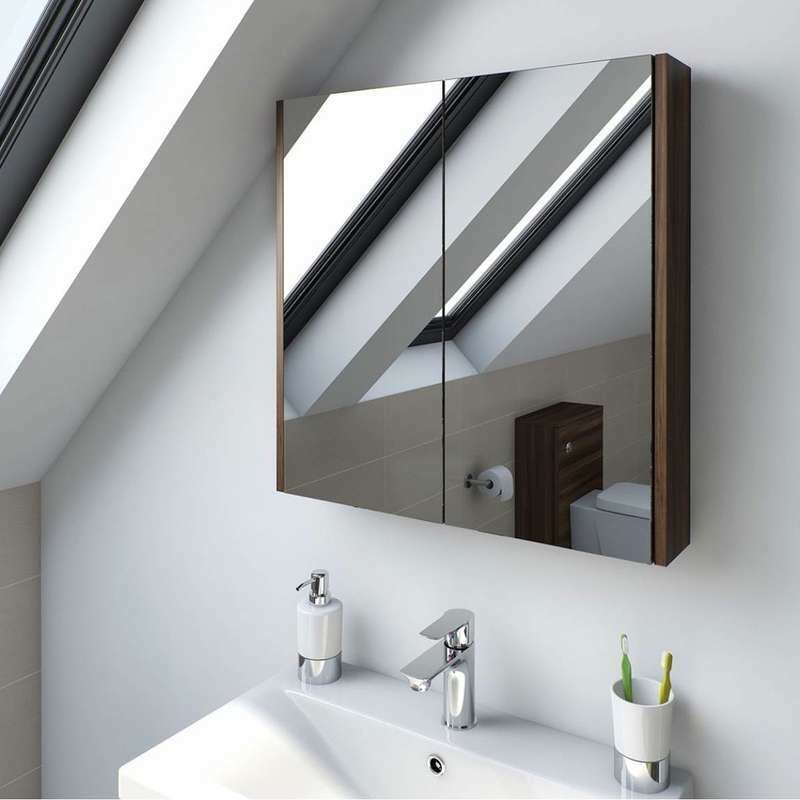 How about a mirror cabinet or somewhere for your soap, if space is limited around your basin? The overall style of your bathroom will ultimately dictate what type of bathroom fittings you choose. A contemporary design will require more modern, minimalist designs, whereas a traditional decor could mean more intricately detailed accessories with ceramic inlays. Whatever you do, make sure your accessories are coordinated with matching bathroom accessory ranges. For further guidance, take a look at our bathroom accessory buying guide. Bathroom fittings can cover quite a number of different furniture items, from small things such as mirror cabinets, to larger elements such as wall cabinets or drawer units. If an item of furniture can be easily detached and moved, it is one of your bathroom fittings. However, items such as vanity units and fitted furniture are more likely to be classified as bathroom fixtures, as it is unlikely you will go to great lengths to remove them, unless you think it's time for a change. For more permanent bathroom furniture, why not check out our fitted bathrooms buying guide? No matter which bathroom fittings you choose, it always pays to devote time to all those little finishing touches, which add a personal feel to your decor. Browse our bathroom buying guides for more great advice.